Stephen L. Pevar, center, speaks to the crowd gathered for a press conference on March 21, 2013 at the Adobe Eco Hotel in Rapid City, South Dakota. Pevar, a staff attorney with the American Civil Liberties Union's Racial Justice Program, spoke about the unjust practices executed by the state of South Dakota in handling child custody cases involving Native American families. 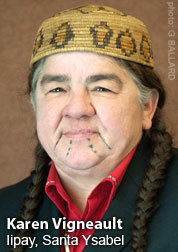 Pevar represents the Rosebud and Oglala Sioux tribes in the lawsuit filed against the state. 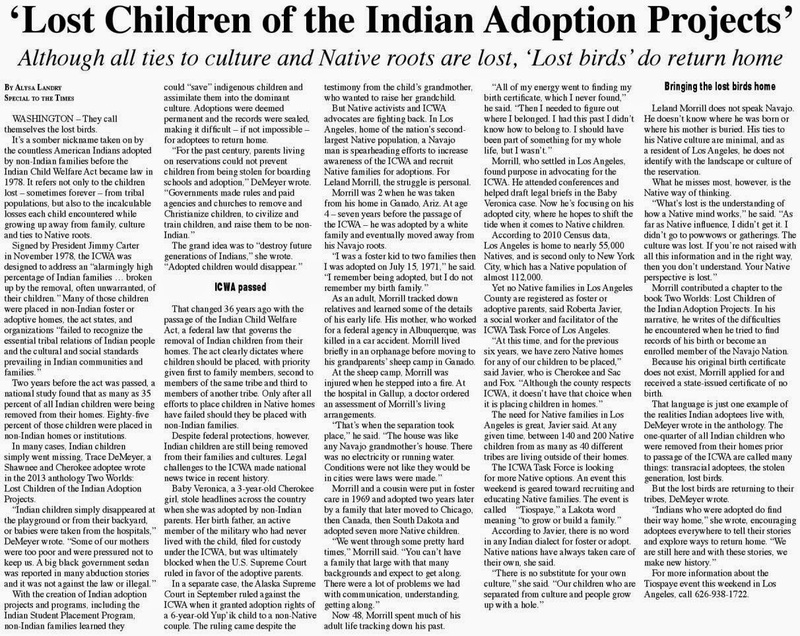 This is Part I in a series about Oglala Sioux Tribe v. Van Hunnik, which charges South Dakota State and local Pennington County officials with violating the rights of Indian parents and tribes in state child custody proceedings. 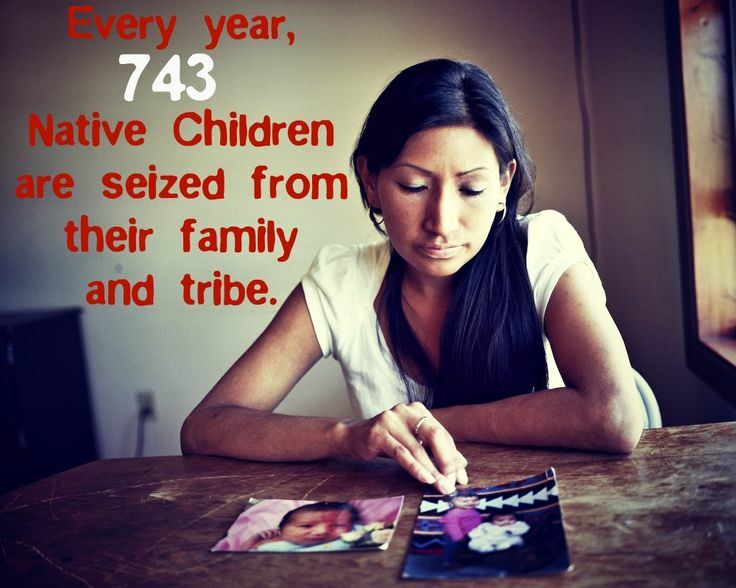 The class-action lawsuit challenges the alleged systematic removal of Indian children in South Dakota from their families and tribal communities without proper hearings, violating the constitutional right to due process and the Indian Child Welfare Act (ICWA). 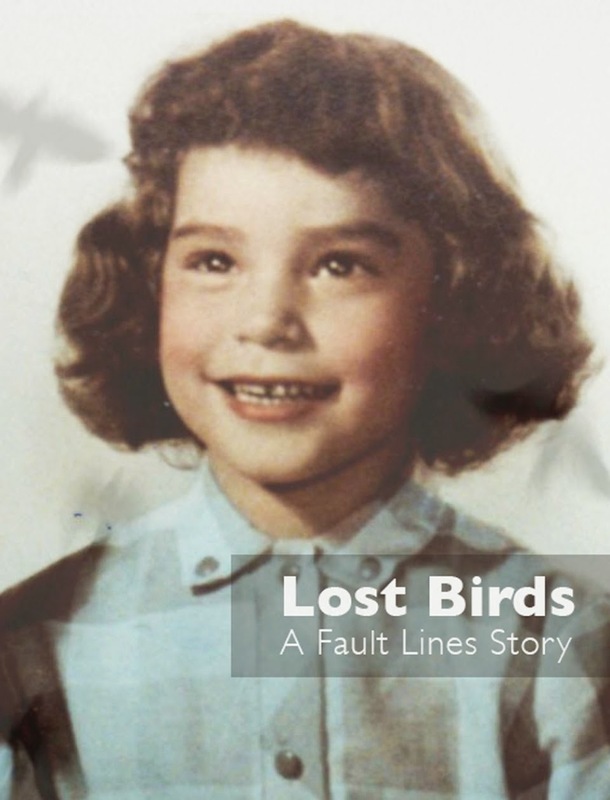 The American Civil Liberties Union (ACLU), the ACLU of South Dakota, and Dana Hanna of the Hanna Law Office in Rapid City, South Dakota, filed the lawsuit in March 2013 on behalf of two tribes—the Oglala Sioux Tribe and the Rosebud Sioux Tribe—and three Indian parents who allegedly suffered the loss of their children without regard for state law and without receiving timely and adequate hearings as mandated by the Fourteenth Amendment's due process clause and ICWA. On January 28, 2014, a federal court denied a motion by South Dakota officials to dismiss the case. On October 25, 2011, Stephen Pevar was driving home from work in Hartford, Connecticut, doing what he always does: unwinding by listening to NPR. But on this chilly, overcast evening, there was one story that grabbed his attention, made it hard for him to relax. It was a report out of South Dakota, where he had worked in the early 1970s as an attorney with the South Dakota Legal Services on the Rosebud Sioux Indian Reservation. As details of the story unfolded, Pevar's mood darkened. He turned up the radio and listened intently to accounts of Indian children allegedly being taken from their homes by South Dakota social workers, often disappearing into state custody that apparently operated with virtually no accountability or oversight. 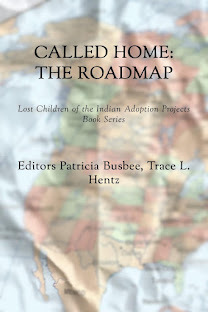 According to the report, state workers were placing Indian children with white foster families even though Indian foster homes were available. Moreover, social workers were said to be severely restricting, and sometimes denying, Indian parents from having contact with their children during their time in foster care. Pevar knew that if even half of these accounts were true, the State of South Dakota Department of Social Services, in collusion with court personnel and even judges, might be engaged in systemic violations of federal law under the Indian Child Welfare Act and the Due Process Clause of the Constitution. Stunned by what he had heard, Pevar glanced at the clock on his dashboard, steered his car into a parking lot and pulled out his cell phone. As National Staff Counsel for the American Civil Liberties Union and a noted expert on federal Indian law, Pevar speed-dialed the ACLU's executive director in South Dakota and left a voicemail. From his home office that evening, Pevar immediately swung into action, doing research and sending emails to colleagues in South Dakota and beyond to express interest in filing suit if the accounts in the story could be proven. For Pevar, who has authored one of the seminal volumes on Indian law, The Rights of Indians and Tribes, the story was going to stay fresh for more than a passing news cycle. It potentially represented a wholesale state-level defiance of federal law designed specifically to prevent the destruction of tribal life in America by way of procedural and calculated separation of children from their families and tribes. That same month, Dana Hanna was sitting in court, waiting to present a case he was working on that was unrelated to ICWA. Hanna is a veteran litigator and trial lawyer who specializes in federal Indian law with his own private practice in Rapid City. Hanna, whose case was next on the docket, was going over briefs when he became aware of the case being presented to the judge, involving two Indian parents. He glanced up, and says he saw something extraordinary happen. “I couldn’t believe what I saw: The parents were not advised of any rights—no rights—the prosecutor read a brief statement, the judge turned to the parents and said, 'Do you have anything to say? '” Hanna recalls. “They said they wanted their children back. But the court granted DSS’s petition for custody and foster care placement of their children for the next 60 days, and then scheduled the case for an advice of rights hearing two months down the road. Hanna had already been retained by the Oglala and Cheyenne River Sioux tribes to represent them in Pennington County, which has had a notorious reputation for decades for its violation of the rights of Indian parents and children. But on that day, Hanna sat in disbelief at the proceeding taking place right before his eyes in which parents were stripped of their children with less concern or effort than the handling of a traffic ticket. Because the couple were not his clients, he could not intervene. But soon after, Hanna began researching these emergency “48-hour temporary custody hearings” required by law two days after a child has been removed from its parents' custody. What he learned was shocking. Hanna began gathering transcripts and court records and contacted the ACLU South Dakota office to inquire about potential litigation.